Relaunch your South Hill Designs business this February! Hi there Angels! I just wanted to touch base with you because we haven't talked in awhile. I know that sometimes life gets in the way and we are unable to work our business the way we would like. I would love to invite you to take this month and have another go at it! That is what is so amazing about our company, you can pick up your business at any time that works for you! This is a great month to do that because last year, this was the month that started it all. We went from being in pre-launch to fully launching on February 25th. What a great time to relaunch YOUR business! It's been an amazing year and there have been so many exciting changes and updates. A year ago we didn't even have the ability to submit hostess rewards online and now our hostesses can login to pick her own free items! 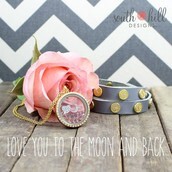 Along with so many fabulous IT updates to our back office we have launched some amazing new products! 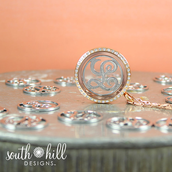 Monogram Screens! 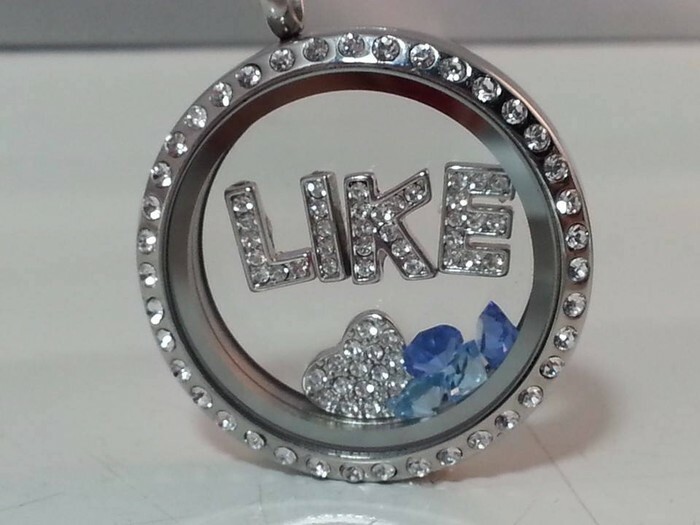 -These are my personal favorite and are going to be a huge hit! Medium screens in our signature styles! Swarovski crystal earrings with matching droplets to coordinate your look! Charms, charms and more charms! 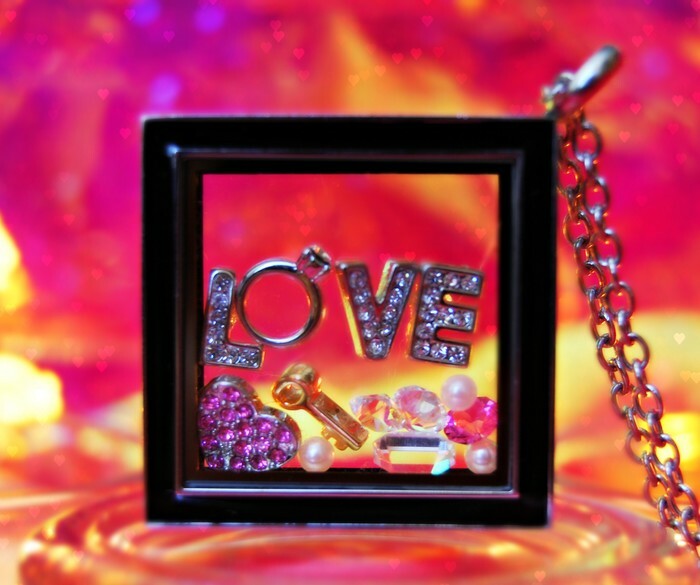 We now have 456 charms in 20 categories, there is a charm for everyone! What is holding you back from taking the next step in your business? You have been paying for your back office fee for sometime but not using your business to make money? Your business has become an expense, not an asset. It's like having a gym membership and never going to the gym. I challenge you to think about what has kept you hanging on? There must be a reason you have not yet canceled? Is the reason you have not worked your business time? What if I told you, I could teach you how to work your business in less than an hour a day? Do you think you have an hour to spare? Is there something you could give up that would allow you that spare hour? I urge you to login to your back office and take another look, look at all the amazing new products, order yourself or a friend something new and see what kind of compliments you get! 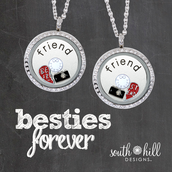 There is no better advertisement for your business than wearing a new locket with one of our amazing screens! Also look at our new Resource section, this is filled with information, videos and materials to kick your business into gear! The leaders of Team Charming Angels are always here to answer your questions and guide you on the path to reaching your goals. The goals you had in mind when you signed up. A great way to get reinvigorated about your business is to revisit your why. Why did you join? What were you hoping would be improved in your life by starting a new business? These are all questions that will help guide you in determining the future of your business. 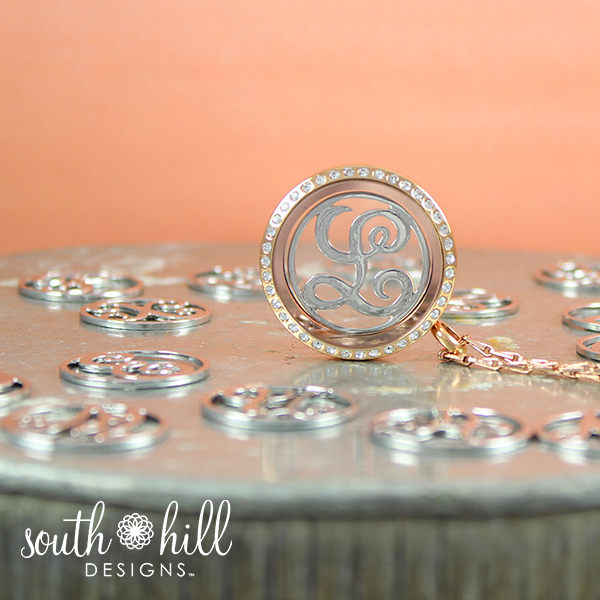 You can take our South Hill business to the top, if you want to! It's all up to you. Women in our company are making $100,000 a month. Could this be you in a year? It can, if you want it enough and are willing to make your dreams come true. Are your dreams not so lofty? That's is fine too, it's your business, you work towards your own goals. I am here to support, guide, be a source of information and encouragement! Together we can make it happen! Are you free on Monday at 6:00 pm EST? If you are, you should tune into our weekly webinar with Joe, Brian and the South Hill home office gang. Learn about the latest updates and any exciting news they will be sharing that evening. 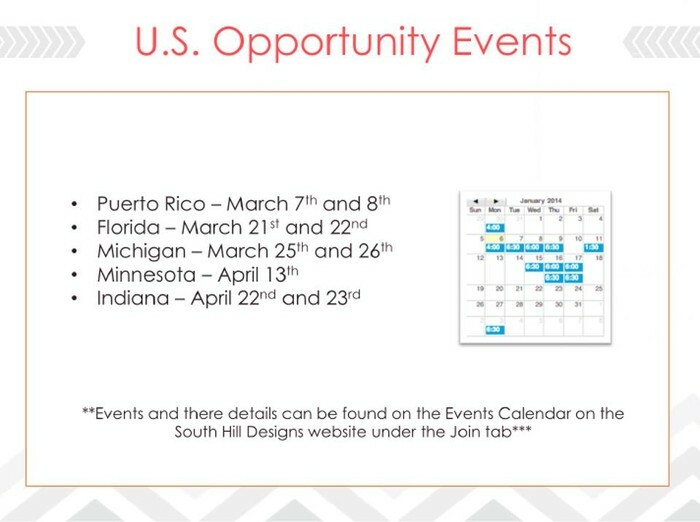 You can learn about the upcoming Launch Day special and any opportunity events in your area. The link is available on the calendar in your back office! 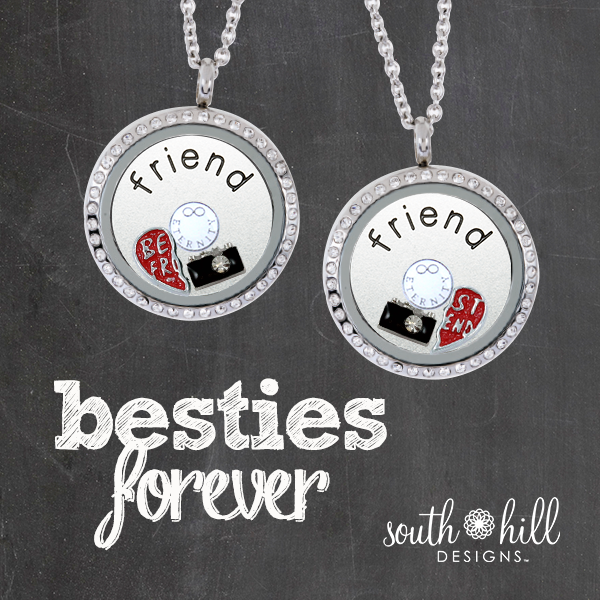 Our amazing February Hostess special has been extended to the end of the month! 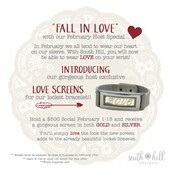 If your hostess has a $500 social she will get two exclusive Love screens for our bracelet, one gold and one silver. This is only available to hostesses in February.